As always the year started with great anticipation approaching the first Grand Slam. As much as we hate it, tennis players must come to terms with contracts with sponsors and brands. The endorsements are half the glamour of tennis. I always associate the big bag Rolex, endorsed by Roger Federer with Wimbledon, and seen on Instagram in Dec., the young champion, Jelena Ostapenko. These five tennis players made their switch at the beginning of the year, some expected, some a true plot twist. 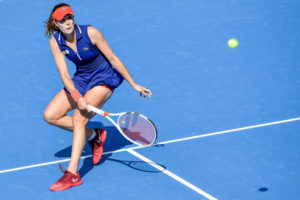 Alize Cornet, 27, of France used to be apart of the crocodile crew, but switched to Lotto apparel, accessories, and shoes. She accidentally started some drama about Lacoste and said it, “burned all its money on Djokovic,” via tsmplug.com. Thankfully, the January baby acknowledged she was joking and found happiness in new Lotto. We announced the new crocodile as the new footwear partner for the brand unanimous for it’s athletic shoes. 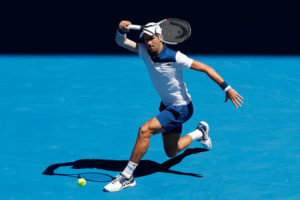 He used to attack in Adidas but made his debut at the 2018 Australian Open stepping in a two-tone limited edition pair of ASICS Gel-Resolution 7 Novak tennis shoes. 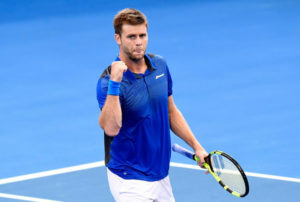 Fans waited since 2017’s Wimbledon to see this man who was M.IA due to an elbow injury, but he returned with a surprise. These shoes have the Novak Djokovic logo at the heel and unique symbols like a dove at the tongue. This one had us for a loop. We were sure the hard working Simona Halep would switch to a different brand, but again, the breaking news said other wise. Many cheered for this world No. 1 to get the designation she deserves. Although she’s unbranded at the AO, stick with the blog and we’ll let you know if Simona Halep’s new four year contract with Nike gives her a specific kit like Maria Sharapova or Serena Williams. 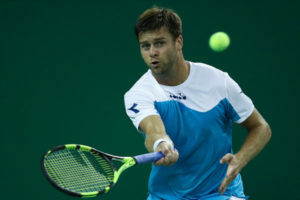 25-year-old Ryan Harrison already played with a Babolat racquet and was privileged to pair his Aero with Babolat’s apparel and shoes this year. He and new coach Michael Russell announced their professional partnership Dec. 2017. 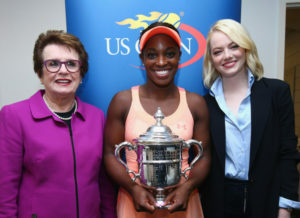 Harrison and his familiar mentor are hopeful for American tennis. 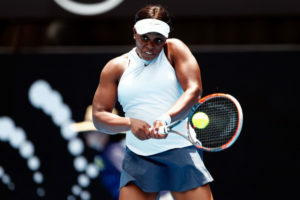 Three days after the new year, witout warning, Sloane Stephens announced to Twitter that she joined the Nike family. Only right for the WTA 2017 Comeback Player of the Year who beat consistent players for the U.S. Open trophy and made the superhero like jump through the player rankings after injury. 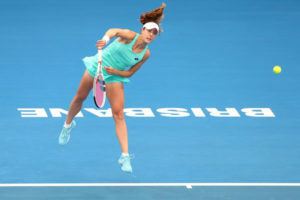 Although out of the race, she played her match at the Australian Open in the Women’s Court Dry Slam Tank in Crimson Tint and Court Victory 11.75 Inch Tennis Skort in black, plus matching visor and the NEW Women’s Air Zoom Vapor X Tennis Shoes.